In the small town of Melington, evil lurks in the darkness, and no child is safe. 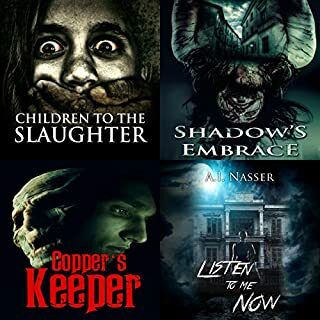 This collection includes Children to the Slaughter, Shadow’s Embrace, Copper’s Keeper, and bonus novel, Listen to Me Now. It starts with an odd hum that brings headaches and nosebleeds to the inhabitants of a remote, sleepy country town. Then a sinkhole begins to form...and out from that hole comes the townspeople's worst nightmares. 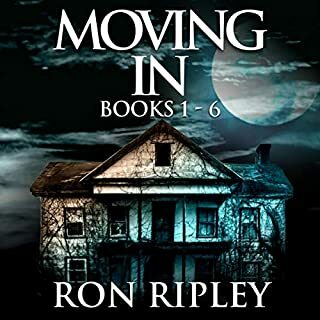 In this collection of three stories, after the brutal murder of his wife, Victor Daniels is thrust into a supernatural world he struggles to comprehend. Seeking answers, he teams up with paranormal expert Jeremy Rhinehart. They race against time to stop a man who’s spreading chaos and violence by way of deadly, haunted objects. A gripping psychological thriller. Inspired by a serial killer in a small town, this suspenseful novel is filled with sizzling chemistry and dark secrets. Girl Gone Ghost is a murder mystery that leaves you guessing who the killer is until the very end. A cheerleader with a reputation. A ghost who wants justice. Two lives bound together until the killer is found. Sonora's popularity means more to her than a new Michael Kors purse. Remy is a tour guide for Carrow House, a notoriously haunted building. When she's asked to host seven guests for a week-long stay to research Carrow's phenomena, she hopes to finally experience some of the sightings that made the house famous. At first, it's everything they hoped for. Then a storm moves in, cutting off their contact with the outside world, and things quickly become twisted. Doors open on their own. Seances go disastrously wrong. Red liquid seeps from behind the wallpaper. College students Eric and Lydia are looking for a novel way to spend Halloween. They decide to put together a documentary about the supernatural and take a camcorder into the long-abandoned house on Kenwood Drive. It's said that a vengeful spirit lives there, and Lydia thinks it the perfect location. Eric, though, has his reservations. Having grown up in the area, he's familiar with the stories of the spirit they call the "Upside-Down Man", and as their trip to the house draws near, his fear begins to mount. After his book becomes a best seller, novelist Jack Ripley moves into a house on the edge of Cutler Harbor with his wife and two daughters. Nearly a century old, Winthrop House is newly-restored and boasts a gorgeous oceanfront view. But everything is not what it seems. 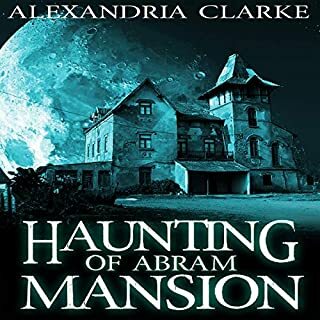 Though picturesque, Jack learns that the house has been shunned for decades by the locals, owing to a number of mysterious disappearances and inexplicable deaths on the grounds. A month after her high school graduation, small-town girl Samantha "Sam" Bronwyn boards a plane with her best friend, Ginny. Destination: San Francisco. But when Ginny disappears inside an airport bathroom wearing Sam's letterman jacket, it doesn't take her long to figure out she was the intended target. Alone in a strange city, Sam's on a run for her life - drawn into a dark past she never knew existed. A past where secrets aren't all that's buried and where revenge comes at the highest price. Dark fairy tales. Waking legends. A magical battle for the heart of Christmas...Krampus Night is coming and even though Gabrielle Greene has only been staying in her Uncle's strange alpine city a few weeks, she's already earned the reputation of the worst girl who ever lived. She doesn't know it yet, but she's also leapt to the top of Krampus's list. Krampus, the sinister Winter King, the anti-Father Christmas who comes calling once a year seeking wicked children to haul back to his realm. Working at a dead-end retail job in the middle of nowhere can be hard. The long hours. The helpless customers. The enormous eldritch horror living deep below the building. As the only full-time employee at the 24 hour gas station at the edge of town, Jack has pretty much seen it all. But when he decides to start an online journal documenting the bizarre day-to-day occurrences, he unwittingly attracts the attention of much more than just a few conspiracy theorists. One of my most favorite nosleep series! Kim and Julian Taylor are in the market for their first home, and a visit to the secluded Beacon estate finds them enamored. It's a peculiar home, rather large and in need of some renovations. The price is right, however, and after a tour, they snap the house up without hesitation. The man who sells them the house has one last detail to share before they sign on the dotted line. The previous owners of the home disappeared under mysterious circumstances nearly eight years ago and have recently been declared dead in absentia. Unperturbed by this fact, Kim and Julian set about making the home their own. It quickly becomes clear that the two of them are not alone there, however. 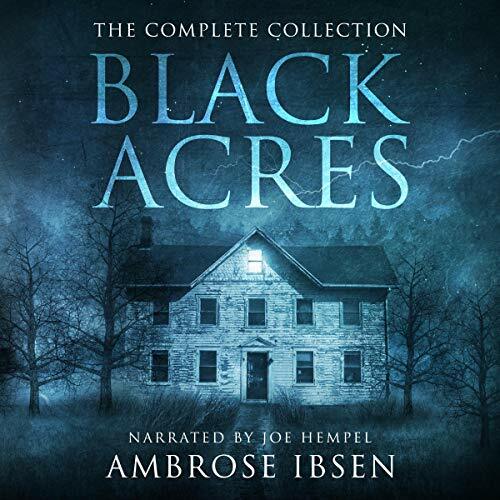 This volume contains all four installments of the serialized novel Black Acres: In Absentia, The Borderland, The Amber Light, and In Darkness. It also contains a brief preface by the author. This is a very original take on the classic haunted house tale that you cannot help but to enjoy. I don't usually listen to a lot of horror but this book grabbed me and wouldn't let go. It was a very creative take on a haunted house that led you through twists and turns and then left you wanting more at the end. The characters and world were brought to life due to an excellent job by Joe Hempel. I will definitely have to check out other books by this author. 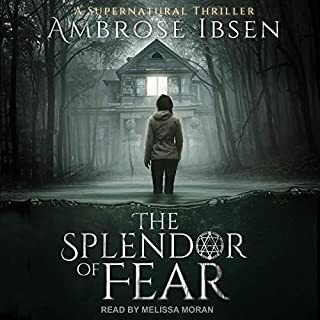 Ambrose Ibsen's stories are always great at bringing supernatural horror to everyday characters' lives. And his stories don't always have a perfect happy ending. This book was perfect Ibsen horror. And, of course Joe Hempel does a great job with the narration. Excellent horror story! I am not new to this author or narrator. 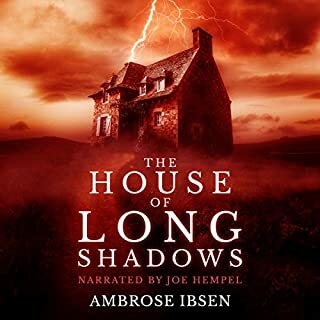 Ibsen and Hempel make a great duo for horror! Ibsen's writing is very creepy and Hempel is the perfect voice for his work! I've been wanting this set of books for a while, but glad I got them all in one. This is NOT your usual haunted house story! Loved it!!! A tale of horror. There were twists and turns everywhere that kept me reading even when I wanted to stop. The characters is this book are well developed. Scary but at the same time entertaining. I listened to this book almost completely through, in one sitting. I am not usually one for horrour, but I did enjoy this. There were parts where my hair was standing up, but what I really don't like are jump scaares. I did not feel the threat of jump scares while listening, which probably added to my liking this. There were a few parts that got so creepy I did have to distract myself a little to not fully focus. If you are someone who likes really creepy books, I really think you will enjoy this. My husband was surpised I was listening, as I am afraid of my own shadow. The story was intirguing from the very beginning. I love stories centered on disappearences. I want to figure out why, as I am sure many people do. It kept me hooked and I was not dissappointed in the ending. Overall, I think it has a compelling plot, some great characters (not necessarily likeable characters,) and perfect for seasoned as well as timid horrour listeners. Joe Hempel's voice really lended itself to this story. Great choice. He does great voices and a nice speed. I received this free review copy audiobook at my request, and I have voluntarily written this review. I’ve seen several of his books listed here and on amazon, yet I never took the plunge to try any going back and forth trying to decide if they would be worth the money or credit. Since I had not heard of him till I joined audible and kindle unlimited. However that will definitely change from here on out. I received a copy of this book for free in exchange for review and all I can say is wow! I will definitely be adding him to all my current lists from now on . I loved the book. I love ghost stories about actual ghosts that leave you spooked afraid to turn the light off kinda stuff instead of what most just seem to be senseless gore and constant cursing and foul language. Saying the f word repeatedly fifty times in one paragraph doesn’t make it any more scary that just says to me the author is being lazy. Which definitely wasn’t the case here. There is one part that definitely made me cringe but that’s on me because I just have weird phobia with cutting my hands lol . But I definitely recommend this book to anyone who hasn’t read any of his books yet . It’s well worth the credit and I can’t wait to read another by Ambrose Ibsen very soon. I liked the story. Was hard to put down a couple times. I thought it could have been longer but worked the story line to a good finish. thank you for the code to get this book. was glad I was able to find something out of my normal reads. definitely worth a listen, awesome! i wasn't a fan of this broken up into the individual books, it left off in strange places, so when this all in one came available, i had to listen. The story is very captivating, it is slow enough that we get to know the characters a bit but fast enough that we don't get bored. There is still a little mystery to the story for me even after i listened to it, enough that i will listen to it again sometime. I can't say that i ever got freaked out or scared, but there were a few instances of me stopping what i was doing just to pay attention to what was going on. Yes, I know, it’s stating the obvious this boook being a horror and all that but this really is weird. An empty houuse on the market and an odd kind of story to justify not only its price but the fact that it is on the market in the first place and why are all the trees dead? Well, you’ll have to listen to it to find out. The naration is perfect for this kind of book and the book itself is well, weird. What more can i say? A house on the edge of a wood and all kinds of weird stuff happening. A family drama and a horror story combined and of course the one not believing the other until it’s too late. Not gory but well worth a read in my opinion and with a rather unexpected ending. I thought this book was really good! Great premise, well written, well narrated, all in all a good listen! I thought it was genuinely creepy and at times I was on the edge of my seat with nerves! Not far off a 5star rating all. I felt some of the use of formal English words (almost olde-english) felt a little out of place in a modern story sometimes and I couldn’t really figure out Julian’s character especially nearer the end (why did he do that!?). Joe read the story really well, with good character voices and was able to create great suspense when required. This is my unbiased and honest opinion of a free review copy. firstly I would like to say that I absolutely adore any book or film that puts me at the edge of my seat and this story did not fail to disappoint. it is atmospheric and slowly builds and builds until you dont realise how fast you have become engrossed into the storyline . I listened to this at night and it just added to the feel of the book. the narration was on point and the book just flowed. at some points I thought it became repetitive but i hadn't realised that this is a collection of more than one book hence the recaps. i would advise anybody that likes on edge jumpiness to purchase the collection rather than the individual books as I almost guarantee that once you start listening to this tale you will want to purchase the full set anyway . I was given this free review copy audiobook by the author at my request and have voluntarily left this review. This is a haunted house story. A young couple buy a rural house which stands close to a dark forest. Creepy events start happening and the story goes from there. It did come to a reasonable conclusion. I did find there was a lot of repetition in this collection, but I'm assuming this is because this audiobook is an omnibus of each of the single books in the series, therefore the author would have been recapping the plot for previous books. I thought the narrator and production were both good. Well worth a listen. If you like spooky then this is the book for you! The atmosphere is slowly built up in an amazing way. The story really pulls you in, although I didn't find the husband very likeable! The twists in the book keep you wanting to read more, hence why I listened to the whole thing over the space of one weekend, I was listening at every given opportunity to find out what would happen next. The narrator is excellent and I found his voice really easy to listen to with enough of a change for me to be able to differentiate between different characters. Although I enjoyed reading Kim's side of the story rather than Julian's,maybe that was because I felt more pulled to Kim and found her more likeable than her husband,who came across as bit of a know-it-all,but I feel that's what the author intended. The ending was good, maybe not quite what I thought it would be, but in keeping with the rest of the book,which was great. Love the scares and jumps that appear,although my husband doesn't like me shouting at when I get scared! I think this book will make me interested to listen and read other books by Ambrose Ibsen. 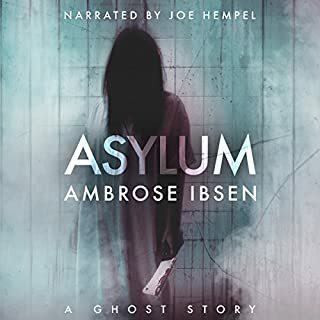 I am glad I listened to this book, definitely makes me want to explore this author further,and I will also be looking at other books narrated by Joe Hempel to listen to. Please read/listen to this book, but not alone, and not in the dark if you are as much a scaredy cat as me! This review copy audiobook was provided by the author/narrator/publisher free of charge via Audiobook Boom.